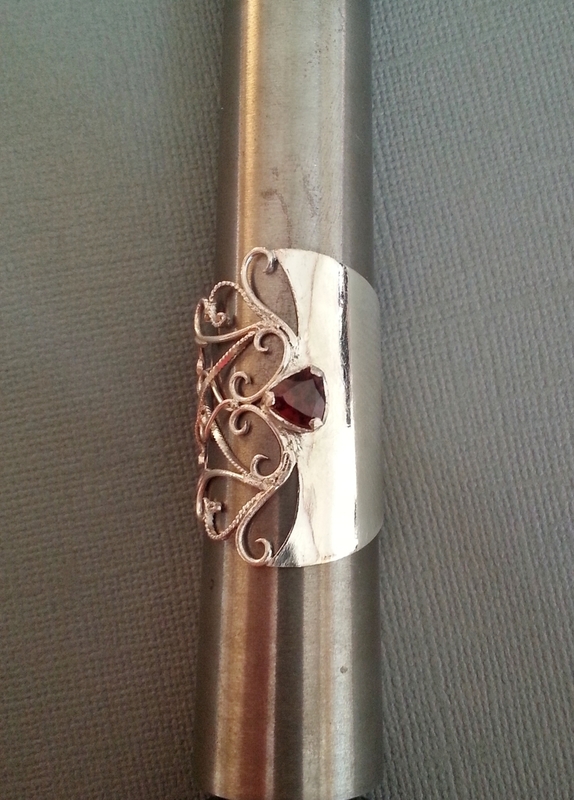 This sterling silver ring features a solid portion that gives way to hand fabricated filigree. A 6mm trillion cut Orissa Garnet sits at the widest part, on top of the ring. The band measures 1 1/4 inch at this point, and tapers down to 1/2 inch at the back. This ring is a size 10, and I would recommend not wearing rings on the fingers right next to it, as they will bump into each other. Looks great on an index or middle finger!